Have you ever given any consideration to the safety functions of a garage door, or even how life-threatening or defective it can be? Normally the majority of people make use of a garage door more than once every day. Because as frequently as your garage doors are used it is vital to take into account any maintenance and basic safety concerns. There are lots of moving components which could become loosened and then cause a failure and contribute to someone getting hurt or having property damage. Just stop and think about this, the garage door could be the heaviest working component of the house. It is a motor-driven piece of equipment which is frequently getting raised and lowered over your automobile in addition to your entire family. Through the years there have been several different versions of doors placed in houses that can range between individual panel doors that kick out to one piece roller doors, nonetheless the most popular model will be the panel garage doors. These kinds of doors are actually standard panels hinged to one another that have been mounted on tracks using a spring system to aid with opening the door. They can be manually operated but these days the majority of them employ a door opener which has a remote opening devise allowing you to open and close the door from the inside of the car. The following is some useful information concerning garage doors from our friends at Garage Doors At Chandler. Avoid standing or even walking under a moving door. 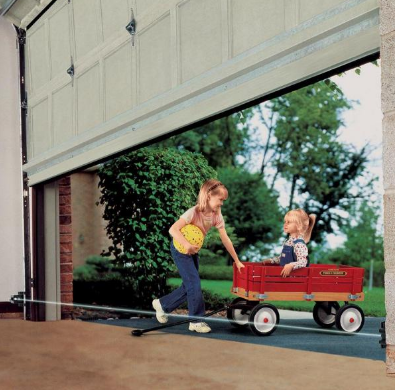 Keep away your kids from the door and explain them that garage door is not a gaming object. You should explain them the consequences of playing with the same. It is extremely important that the kids are made clear of the about the moving door and they might get hurt if they stand near it. Be careful about the remote controls and the transmitters of the remote door of your garage. Keep it in safe distance from children. Affix the push button wall control at a high level (minimum 5 feet) from the door. There are various garage repairs, garage door repairs should be therefore your first summon when the garage is not performing well. It may have got some mechanical failure but whatever the reason may be, you should call for a technician without delaying. Never ever leave your garage door half closed. It can be dangerous for anyone. 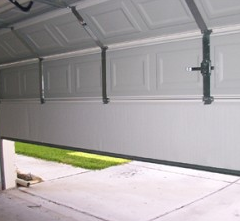 Several instances are there where people got severely injured for being unmindful about the half-closed garage door. One has to be cautious with these garage doors. The shutters of the garage might close anytime if these are left open. This can be highly dangerous of anyone and people can be dangerously injured due to this. 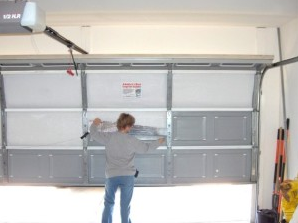 Do you opt for a routine maintenance of your automatic garage door? If not, then start doing the same now onwards. Regular maintenance keeps anything smooth and well functioning. Your auto-garage door is surely not exception of that. Some parts that you need to checkup on regular basis are rollers, cables, pulleys, springs, spring safety cables and other hardware tools of the door. Always go through the manual of the garage door when you buy one newly. Knowing the functions of the door is quite important for you. However, do not try to fix it when it mal-functions.